Athanassia Spyropoulou teaches English and English for Academic Purposes. Athanassia Spyropoulou teaches English for Academic Purposes. She holds a first cycle degree in English Language and Literature (University of Athens, Greece) and an MA in Teaching English as a Second or Foreign Language (Saint Michael's College, VT, U.S.A.) She has wide experience in her field, as a teacher, teacher trainer and examiner. 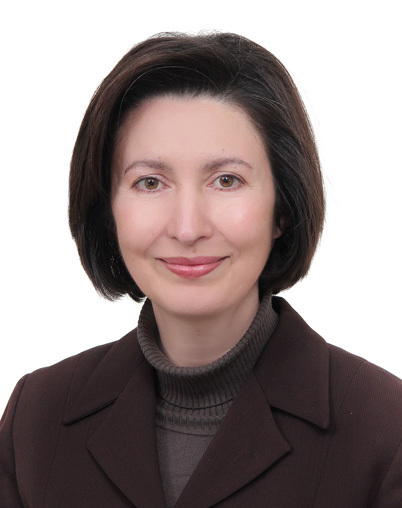 In addition, she has worked at the Greek Ministry of Education, first in the Directorate of European Union (1998-2000) and then in the Secretariat for Higher Education (2000-2004). She played an important role in the higher education activities of the Greek Presidency of the EU and in the preparation of the Bologna Ministerial Conference in Berlin. Athanassia Spyropoulou has been an expert in European Union, Council of Europe, EUA and other projects related to higher education policy and has served as coordinator and assistant editor of the Handbook “Leadership and Governance in Higher Education” of RAABE (2012-2015). In addition to teaching, she has served as an elected member-representative of the Special Teaching Staff (EEP) in the Quality Assurance Unit (MO.DI.P) of the University (2013-2017) and in the Senate of the University of the Peloponnese (2005-2013 and 2018 - ).